Ross McKamey is an Agency Owner with Goosehead Insurance. Ross is originally from Indiana, relocating to Charlotte in July of 2016. Ross has been in the insurance business since 2011. He has an extensive background providing custom insurance portfolios for his clients. 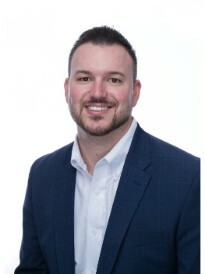 Ross has experience working with dozens of carriers, ranging from being a captive agent with Farmers Insurance and Farm Bureau Insurance, to working as an independent broker. As an independent broker, he learned to provide the best company to product pairing available so he can custom fit his clients' needs. Ross and his wife, Lacie, live in Indian Trail, North Carolina. Lacie works for a local hospital, where she practices pharmacy as an Antimicrobial Stewardship Specialist. Both Ross and Lacie have a passion for taking care of people in their local community. In his spare time, Ross enjoys golfing, baseball/softball, hiking and networking with local business owners helping grow and develop their business to its fullest potential.